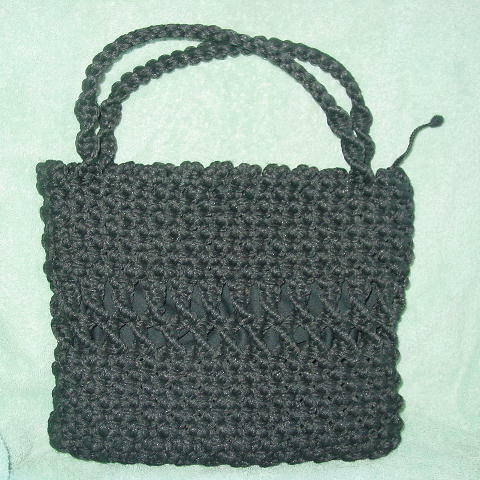 This vintage black woven handbag has a full black fabric lining. 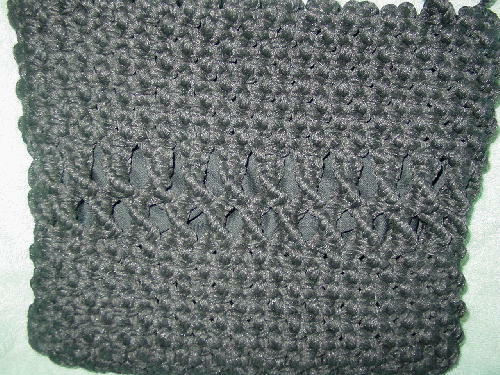 There is a top side to side zipper with a black yarn pull. It has two 14" long handles and the center of the purse has an open weave which is 2" high and the rest has a close weave pattern.